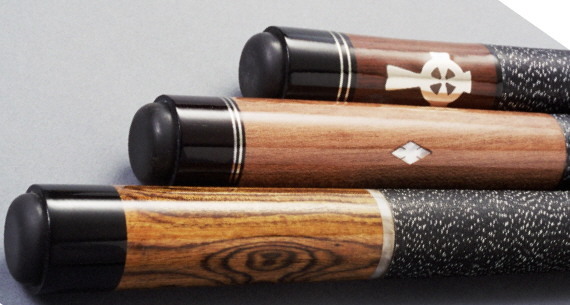 Above: top to bottom we have cue levels Three, Two and One. Below are another group of level One through Three cues. Next is a presentation by Cash Custom Cues. 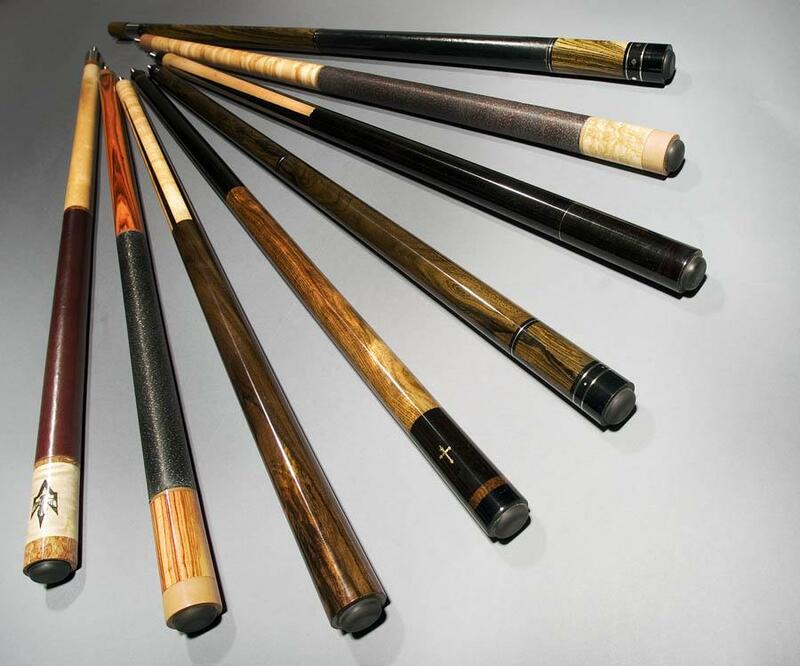 This group consists of the full range of level Three cues.